The 1998 Nobel Prize went to three American scientists for discovering the tie between nitric oxide (NO) and cardiovascular health. The following studies confirm the need to boost NO production in your body. 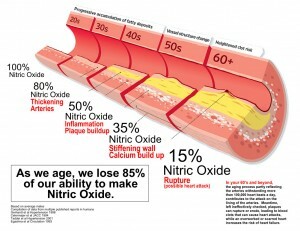 Nitric oxide is essential in staving off cardiovascular risk factors such as aging, hypertension, and atherosclerosis. The aim of this study was to determine whether increased age resulted in decreased serum nitrite and nitrate levels—the end-products of nitric oxide—in healthy subjects. Healthy individuals were divided into five age groups and their serum nitrite and nitrate levels were measured. Analysis showed that nitrite levels were not significantly different, but nitrate concentrations exhibited significant differences. 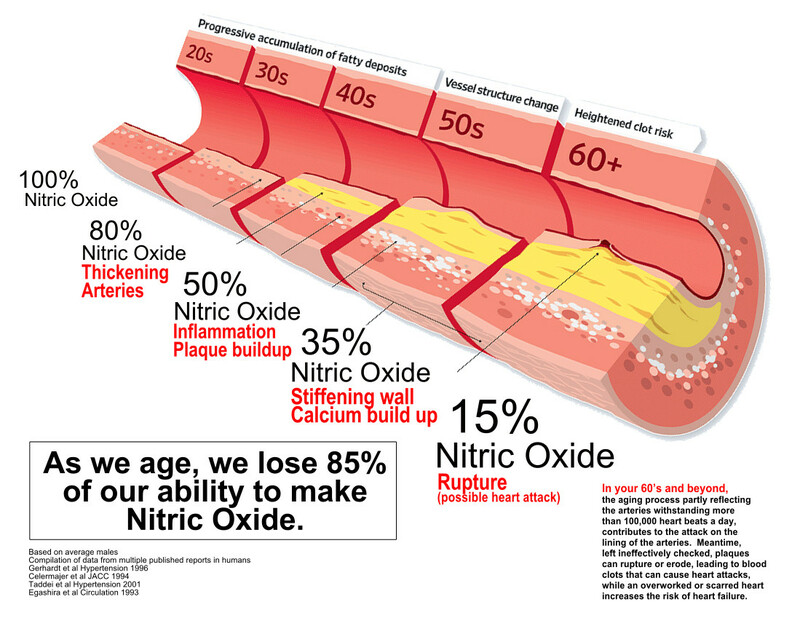 This suggests that nitric oxide synthesis is reduced with age, decreasing the vasodilation essential to vascular health. J R Coll Physicians Lond. 1994 May-Jun;28(3):209-19.Vallance P, Moncada S.
Nitric oxide is involved in a wide range of physiological processes in humans and animals. It controls vascular tone, acts as a neurotransmitter and neuromodulator in the central and peripheral nervous systems, and influences the activity of the immune system. Substances that selectively enhance or inhibit its synthesis or removal and modify its effects are likely to yield interesting therapeutic agents. 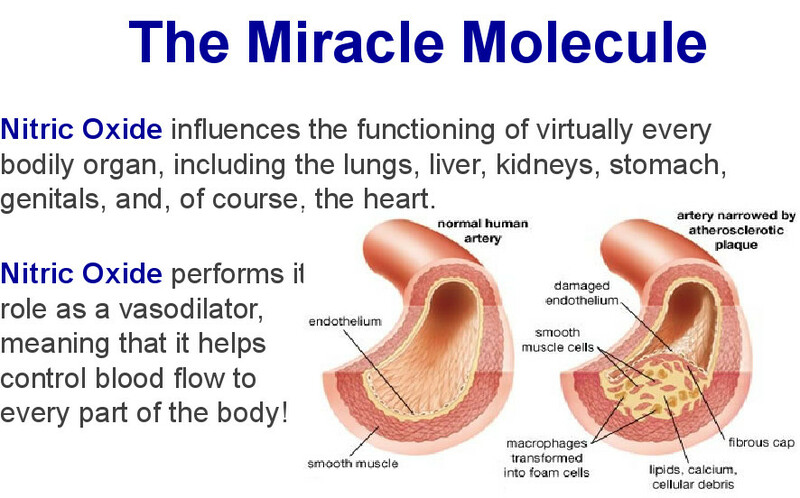 Evidence suggests that nitric oxide acts as a powerful antioxidant, protecting cells against neurotoxicity and other dangers. In vitro and in vivo laboratory results are reviewed to find the effects of nitric oxide on MPTP neurotoxicity and see what other protections nitric oxide may offer. 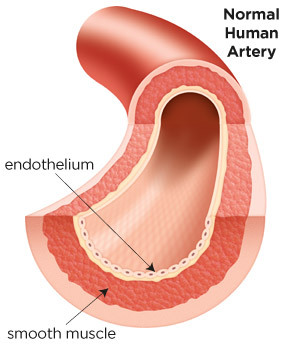 Nitric oxide is indentified as the key factor in relaxing arterial walls and keeping platelets operating at optimum levels and functionality. 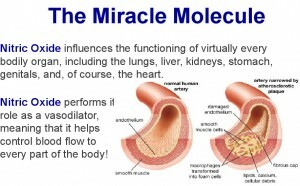 Research also indicates that L-arginine is the precursor for the synthesis of nitric oxide. Nitric oxide plays the key role in the non-adrenergic non-cholinergic nerve-mediated relaxation of the prostate. This study evaluates whether nitrinergic innervation of the prostate is reduced with aging, and whether a reduction of this innervation alters the relaxant properties of prostatic tissue. Researchers found that both nitric oxide-mediated relaxation and nitrinergic innervation are reduced with aging in this animal model, confirming the body’s need for help in producing nitric oxide later in life. Please call for wholesale prices of aprox. $40.00.